ThinkTransit, the Trapeze Technology Conference, launched on Monday, bringing together more than 400 industry professionals who are shaping the future of mobility and public transit. Each year, Trapeze co-hosts the ThinkTransit Conference with a key transit agency in the region. This year, the Hillsborough Area Regional Transit Authority (HART) is proud to welcome delegates to Tampa, Florida. With a vision to invite, inspire, and implement sustainable and innovative transportation, HART is a good match for a conference that encourages broad dialogue on innovation and advancement. “Fueled by innovation, HART is leading the charge to become the region’s premier mobility manager through the integration of cutting-edge technology to optimize our customers’ riding experience,” says Benjamin T. Limmer, CEO of HART. The conference kicks off with a forward-looking keynote from Greg Lindsay, urbanist, futurist, and journalist, on one of the most disruptive trends in transport today, Mobility-as-a-Service. Lindsay explores how MaaS is creating a seamless transport ecosystem that provides increased flexibility and convenience for the riding public. This year’s ThinkTransit also brings to life inventive ideas for the future of public transit created by some of Trapeze’s most passionate transit advocates. Conference attendees will have the opportunity to engage and provide feedback on these ideas at the Incubation Avenue showcase. Focusing on the changing shape of the transit industry, the conference opens up new horizons for transit professionals on how public transit can take the lead in leveraging new technologies to rethink true mobility. ThinkTransit also brings back the Solution Center where attendees can see newly-launched solutions in action, all in the cloud. Bade emphasizes the scope of knowledge available at ThinkTransit: it’s much more than a user conference — it’s a place where the leaders and transit enthusiasts at the intersection of mobility and technology operate. ThinkTransit is not just about learning from Trapeze — it’s about learning from each other. With over 55 external speakers and more than 400 attendees, Transit professionals will have the opportunity to expand their knowledge in many areas, from how agencies are improving communications and data ingestion within their systems to how to manage thousands of dispatch messages, and much more. Attendees can take part in six new industry tracks that focus on the critical areas leading the charge in today’s transportation landscape: Dispatch; Scheduling, Planning, & Workforce Management; Passenger Experience & Fare Collection; Asset & Maintenance Management; Innovation Intersection; and Demand Response. ThinkTransit’s signature hands-on training, meanwhile, is focused on new and fresh content for industry rookies, veterans, and everyone in between. The conference is taking place April 14 to 17, 2019, in Tampa, Florida, at the Tampa Marriott Waterside Hotel & Marina. 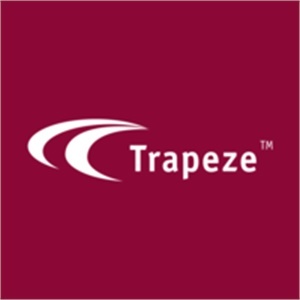 This is the 26th year Trapeze Group is bringing together industry leaders and innovative thinkers to share insights and build a more mobile tomorrow. Trapeze Group works with public transit agencies and their communities to develop and deliver smarter, more effective public transit solutions. For more than 25 years we have been "here for the journey," evolving with our public transport customers around the world, helping them to move people from point A to Z and everywhere in between. The vehicles hailed by the TRON mobile app will run in two zones, with each trip set at a fixed-fee of just .35 cents.